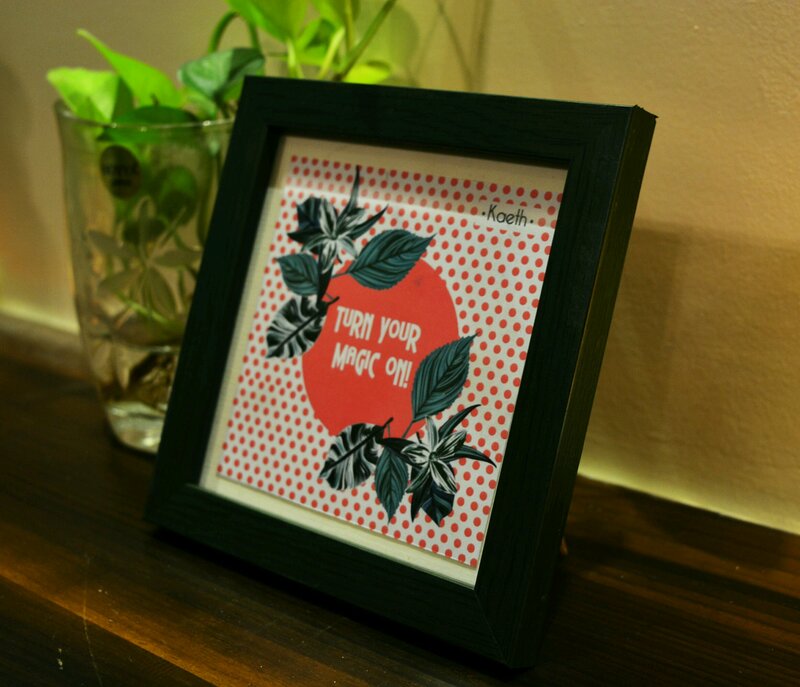 'Inspirational humorous quotes with vibrant graphics to make your work space motivational and fun, a must have for stationery lovers, to add a cherry to a lovely looking desk. 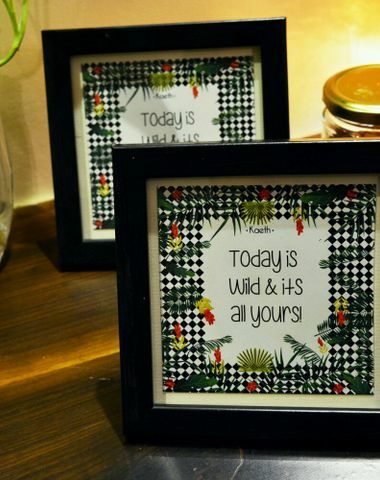 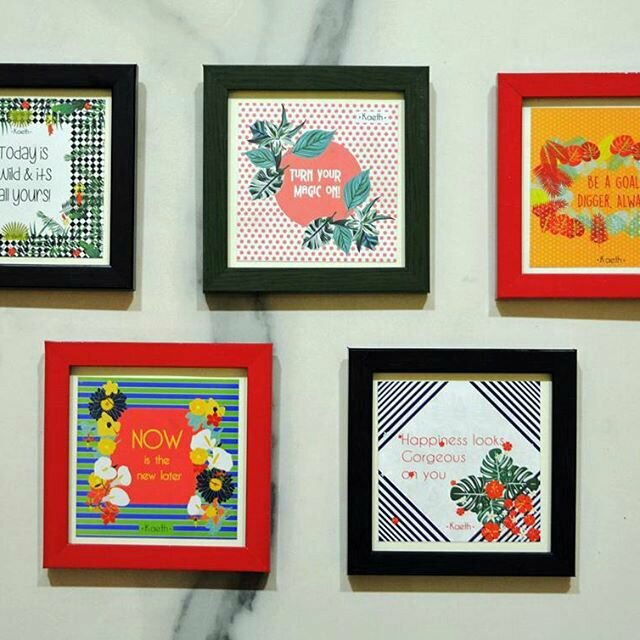 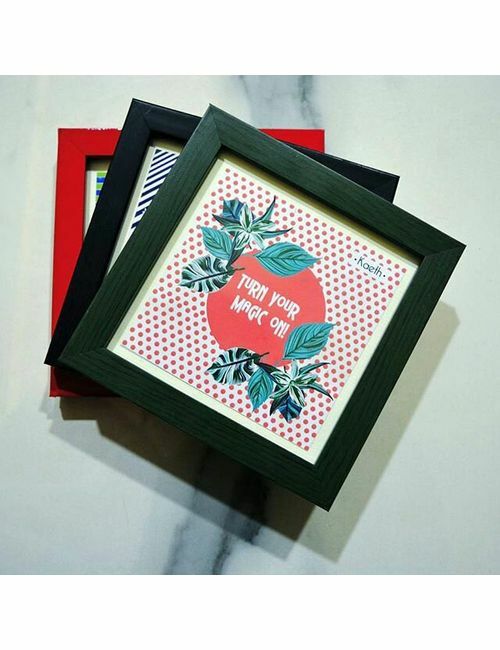 The graphics are designed with love by our team & the frames are hand cut & framed just for you in quirky colours with the influence of pop and nature to bring freshness.' 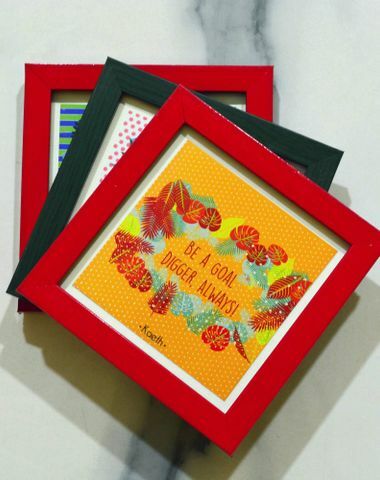 frame colour- olive green Size- 5"x5"